Dacula High sophomore basketball star Xavier Okoro is back on the court after tearing his anterior cruciate ligament (ACL) in early 2008 during a game against Shiloh High. He recently returned from the Youth Basketball of America (YBOA) National Championships after Resurgens Orthopaedics surgeon Dr. Sami Khan repaired his ACL. Okoro's basketball prospects looked good in early 2008. He was playing on the varsity basketball team as a freshman. As the tallest member on the team, he immediately became an invaluable asset. His coaches say that college recruiters had already begun asking about him. Then, something terrible happened. "Xavier tore his ACL in the last quarter of a close game," said his father, Emmanuel Okoro. "He wanted to keep playing because his team really needed him, but it quickly became noticeable that he was really hurt, and the coach pulled him out of the game." "When I found out my ACL was torn, I had no idea how serious it was," Xavier said. "I didn't know if I'd be able to play basketball anymore." The Okoros' family physician referred Xavier to Resurgens Orthopaedics physician Dr. Sami Khan to have his ACL repaired. Dr. Khan practices at the Resurgens Decatur, Johns Creek, and Snellville offices. "I was really very impressed with Dr. Khan and his work," Emmanuel said. "He explained everything to us so that we could understand, and he listened to what we had to say and answered all our questions. Xavier recovered very quickly after his surgery." "Dr. Khan explained my injuries to me in a way that made me less nervous," Xavier said. "I felt confident that he knew what he was doing. I'm 100 percent back to normal, with no pain now." 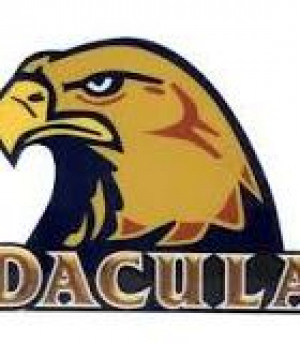 This year, Xavier took full advantage of his recovery when he and his Dacula Elite teammates competed in Division 1 of the YBOA National Championships, after qualifying at the state level in the Georgia Championships. Xavier is currently a sophomore and is back with the Dacula High varsity team. "I was really very impressed with Dr. Khan and his work."